Because you now have one more reason to freak out right before the holidays. 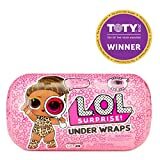 That’s right, the new LOL Surprise #HairGoals is here and, well, it’s already selling out. Thanks for nothing, Santa! 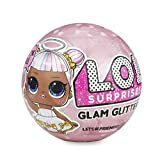 Your kiddos are still obsessed with all things LOL so they’re going to cry tears of glittery joy when they get their hands on the makeover series #HairGoals doll. It’s already named one of the hot toys this season! It’ll be a bitter fight to the end to get your hands on one (or more) of these this Christmas season, but we’re here to help you find them, locate them, and get them at a decent price. Here’s what we know so far. What’s the Big Deal About the #HairGoals Makeover Series? Each one of these dolls comes with 15 different surprises! 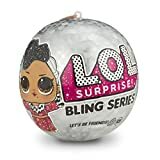 They live in a really cute hairspray can capsule that opens up into a display case, a hair salon chair, a doll stand, and even a cute purse to carry around. Once you bathe or feed your surprise doll you’ll find some really cool water surprises. See? Taking a bath pays off! There are 12 different character dolls in total. 10 of them have real doll hair and 2 of them are the highly coveted ‘rate glitterati’ dolls! Well the good news is that these have already been released to the public and are ready to buy! The tougher part is that many retailers are already sold out (for now). You’ll find them at all different prices, sadly. However, the suggested retail price is just $14.99! If you’re in a bind and can’t find them anywhere, you can always check eBay right here. You’ll likely pay more, but at least you’ll get it. 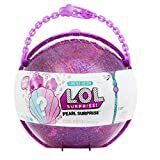 What the Heck is Inside the LOL Surprise BIGGER SURPRISE and Where Can We Buy It? !